Great article, thank you. Prince's style still inspires me to this day! TFS, that was a fun read. This is a great article. Not many deal with the style and musical connections. But the fashion and music went hand in hand. When we close our eyes and conjure up an iconic Prince image, many of us will think of him in Purple Rain (1984), perched upon a customized purple CM400 Hondamatic motorcycle, wearing a purple trench coat studded in glistening chains and rhinestones. This image has cemented itself as the epitome of Prince’s 1980s look and the foundation of his forty year long career in the music industry. Thanks for posting the photo purplethunder3121. Oh yeah, in terms of style, that Controversy to 1999 period(and a little less, the Dirty Mind and Purple Rain periods) is my favorite. And in second place it would be his later, more stylish period. When he was in suits and ties. 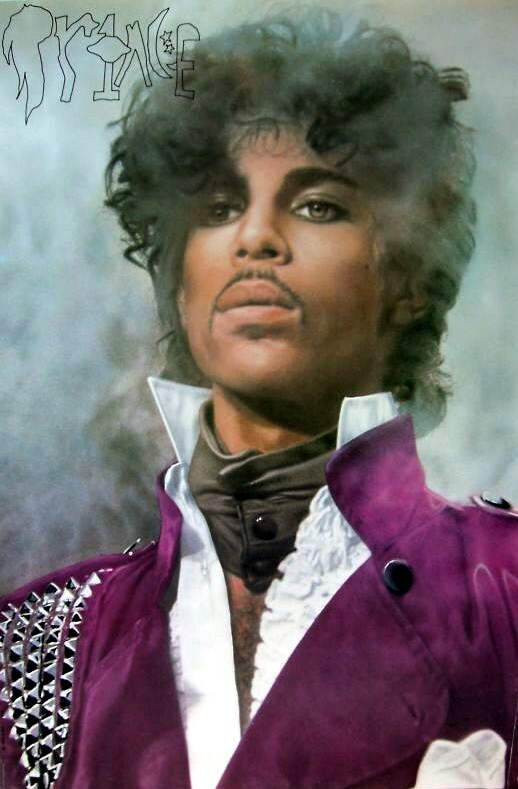 Anyway, this is my favorite solo Prince photo/poster. Thanks for the memories. And thanks to Latin for his/her cool threads.